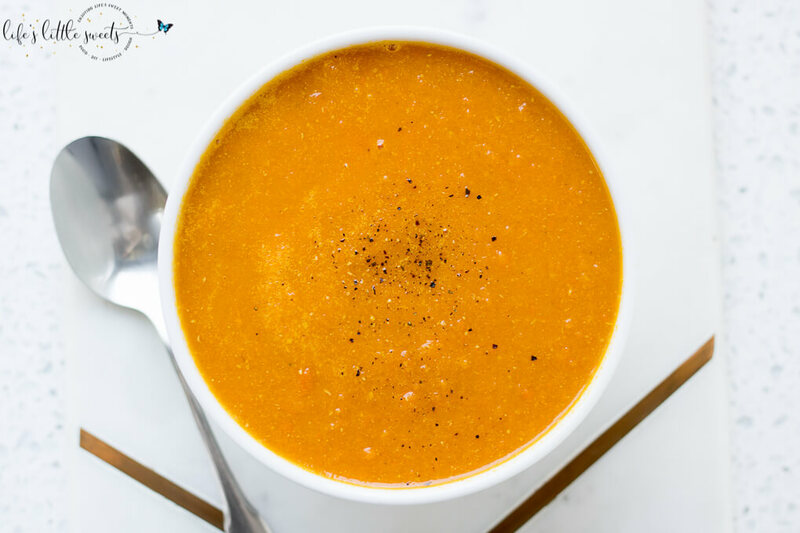 Hey Everyone, we are trying to keep it healthy whenever we can over here by making this healthy Homemade Carrot Ginger Soup! 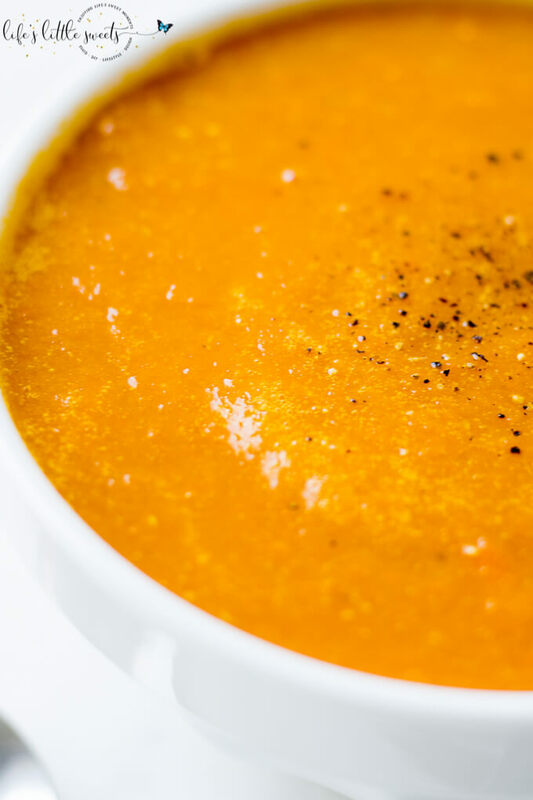 We make this soup often in our house and it’s one of our favorites because we are always in the mood for it. 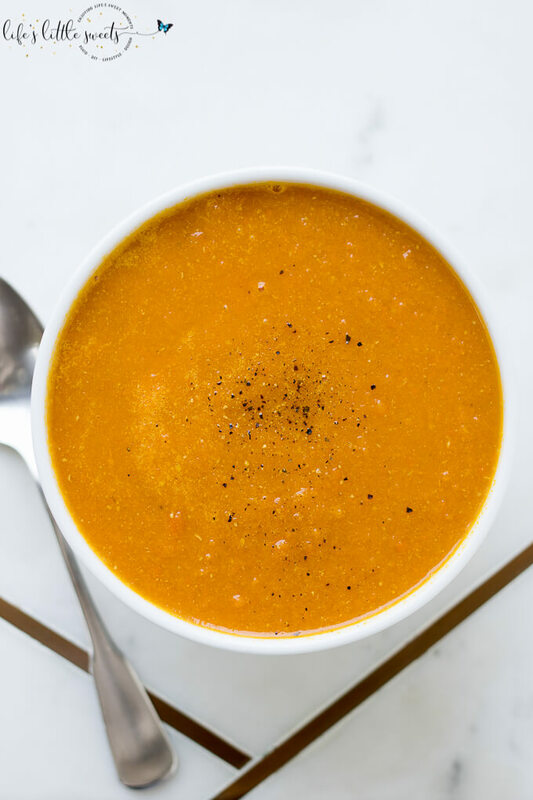 It is great as a hot, soothing soup in the Fall and Winter, it’s bright and healthy for Spring and Summer as well, making it perfect for any season. I include notes in the ingredients where you can make substitutions to make this with a traditional option with chicken stock and butter. Traditionally, I would also serve this soup with croutons, fresh baked bread (like my No-Knead Bread) and topped with a dollop of plain Greek yogurt or sour cream and sprinkled with chopped Italian parsley. 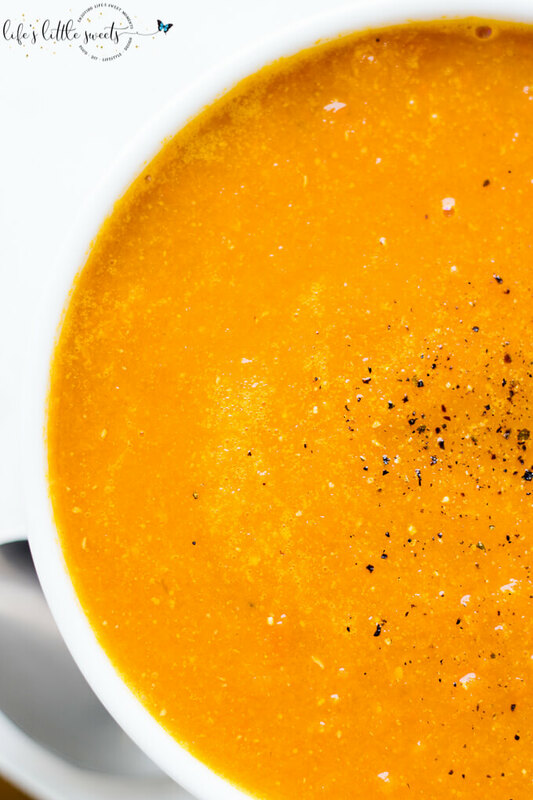 Recently, my husband, Eric, has been on a low-carb diet, with more plant-based options, so you will see some recipe inspired by his health kick come across the blog. Of course, I am trying to be healthy too as my body is shedding it’s pregnancy weight since I gave birth to my son 4 1/2 months ago. 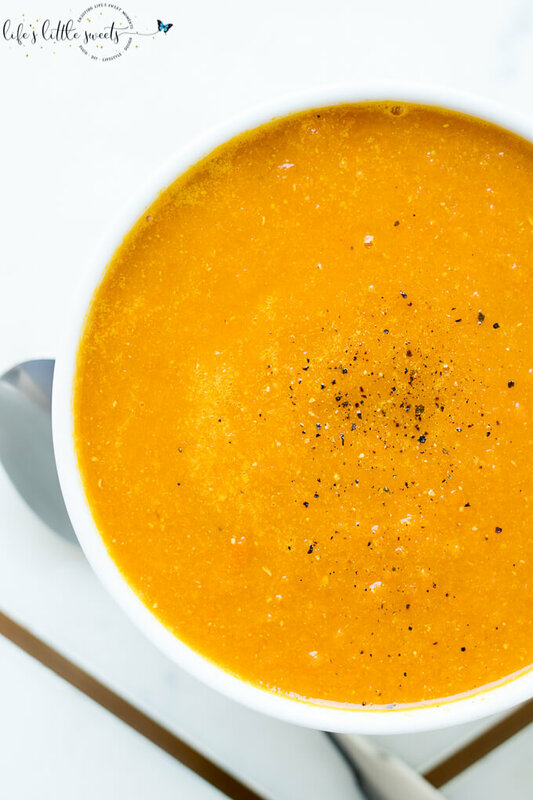 I know you will love this Homemade Carrot Ginger Soup recipe! 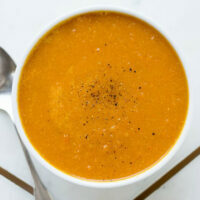 In a large soup pot or Dutch oven, over medium-high heat, add the 3 tablespoons olive oil, add the chopped garlic, chopped carrots, celery and yellow onion. Sprinkle Kosher salt over the vegetables and cook until tender, about 5-8 minutes. Add 2 cups vegetable broth, cups water and 1 teaspoon ground ginger (or 1 tablespoon fresh minced ginger). Simmer for 20 minutes, stirring occasionally. 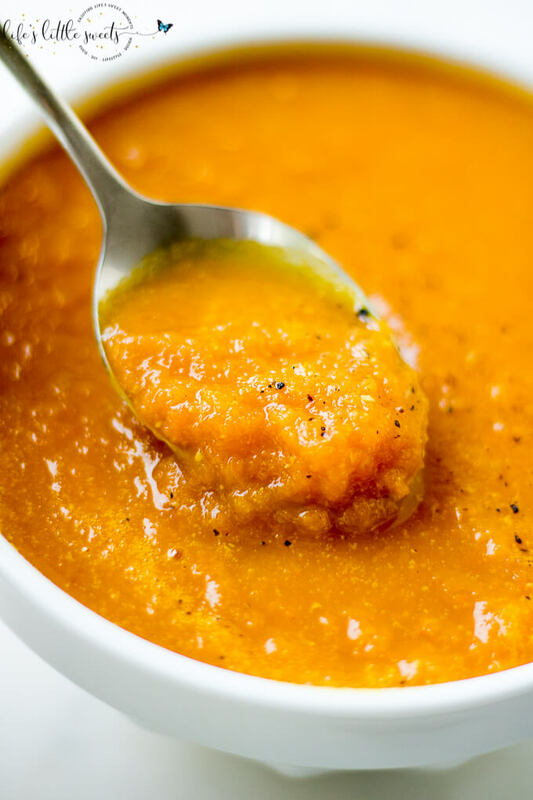 After simmering for 20 minutes, remove from heat and blend the soup with an immersion blender or in batches with a regular blender (if you use a regular blender, make sure to cover the top with a lid and a tea towel because the soup is hot!). Blend until you get a smooth texture. Tip: If you use fresh ginger, you can keep it in the freezer and use a box grater to grate some when you use it. Made it today & it is delicious~ THANKS! Packing for lunch throughout week. Can it be frozen for future serving?